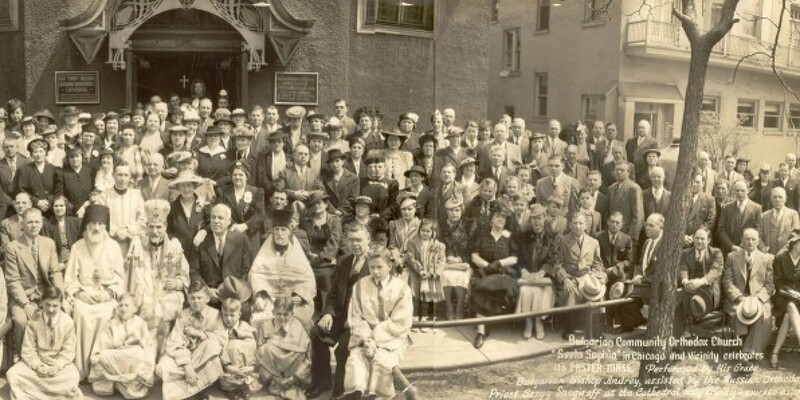 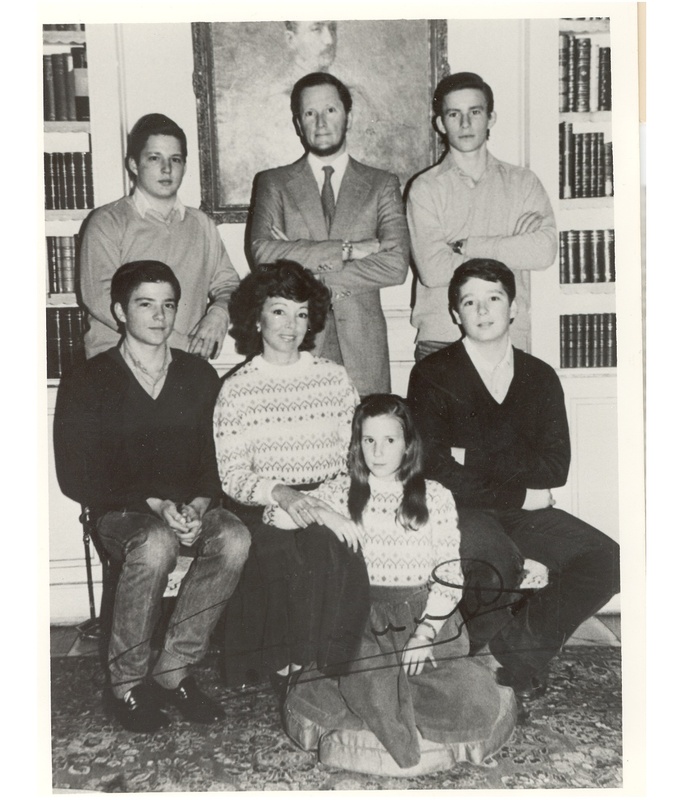 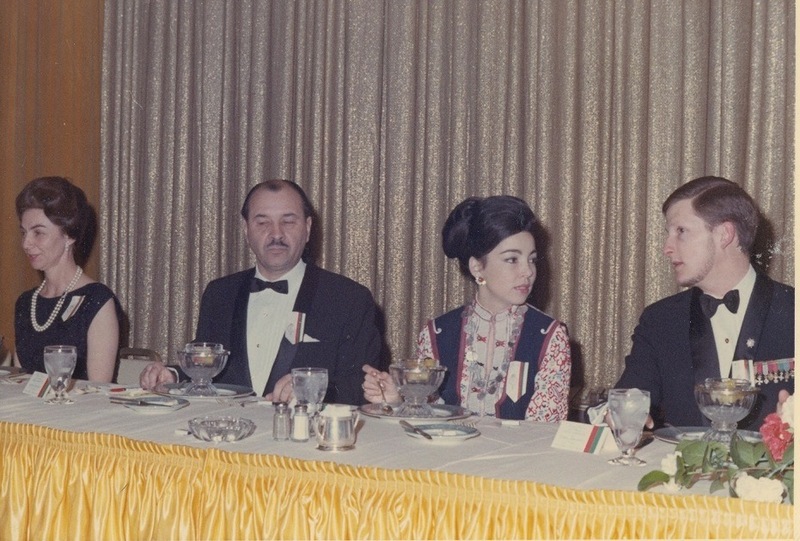 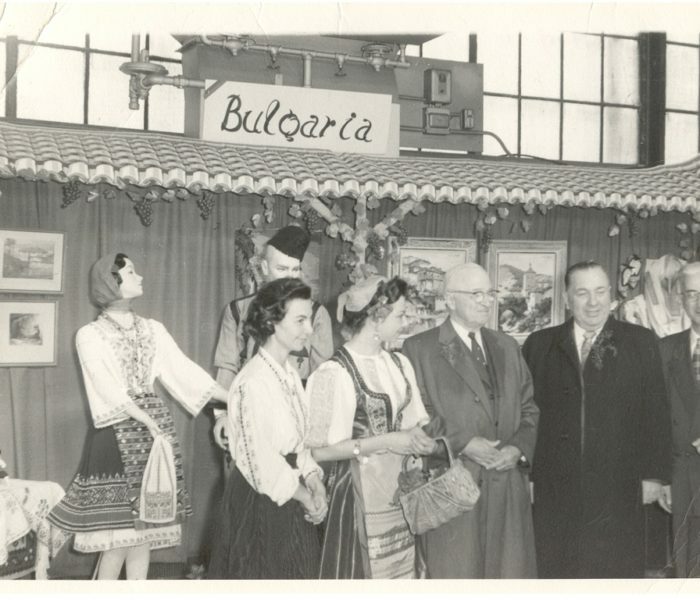 President Harry Truman (left) and the Mayor of Chicago Richard Daley (right) stand together with two Bulgarian women, one of whom is Dr. Stanka Paprikova (left). 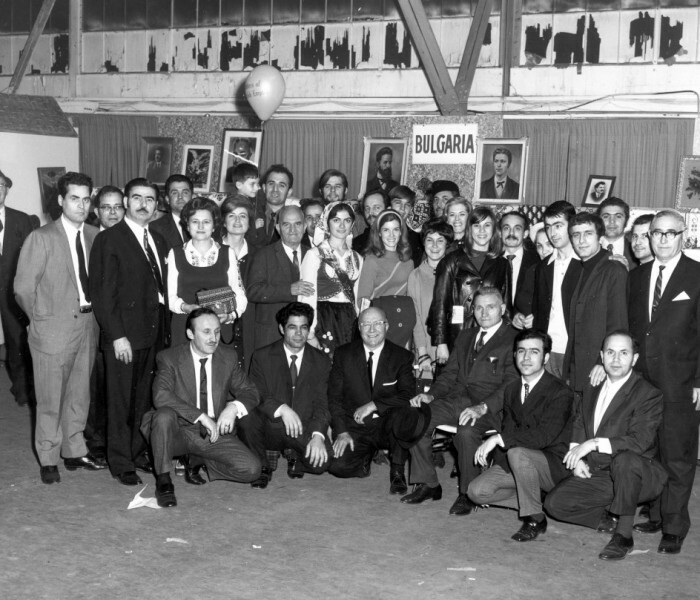 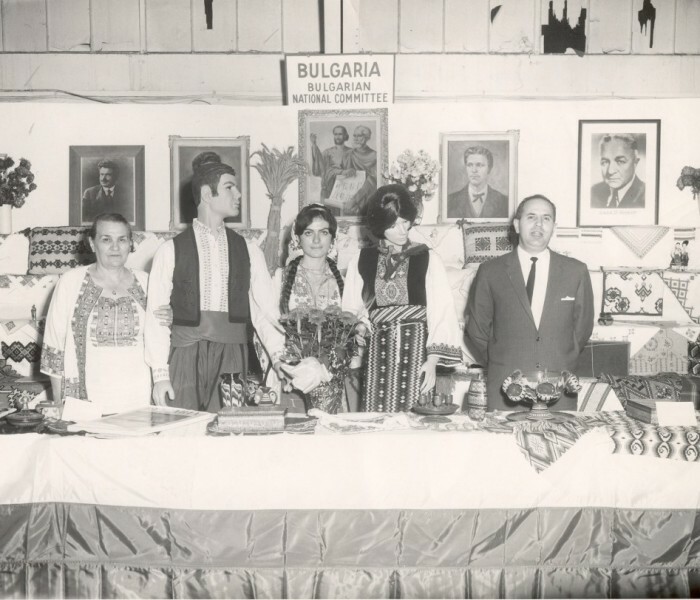 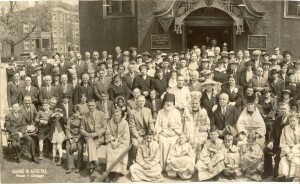 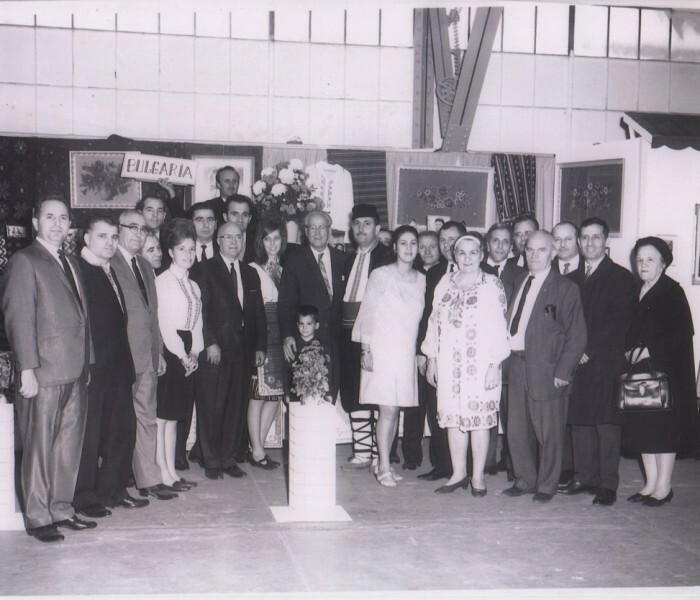 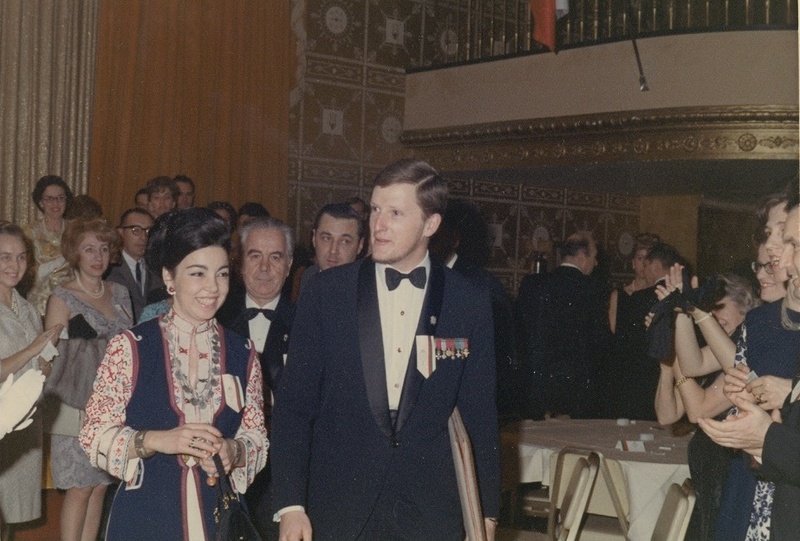 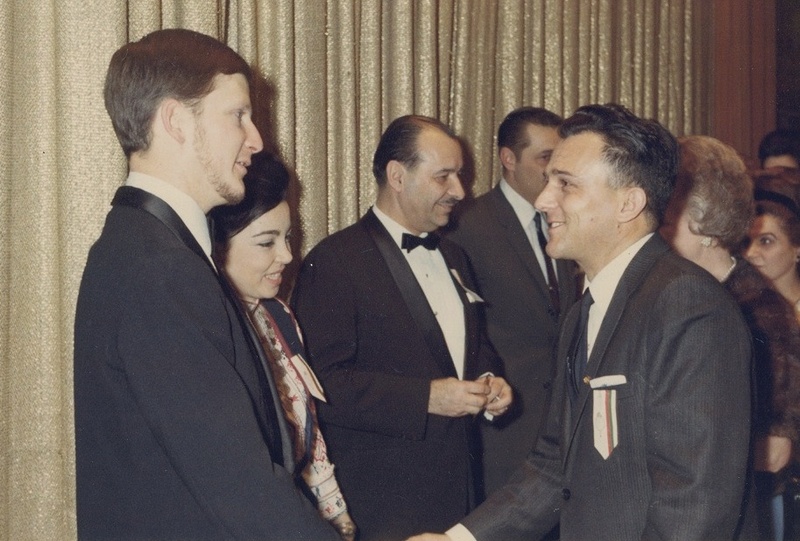 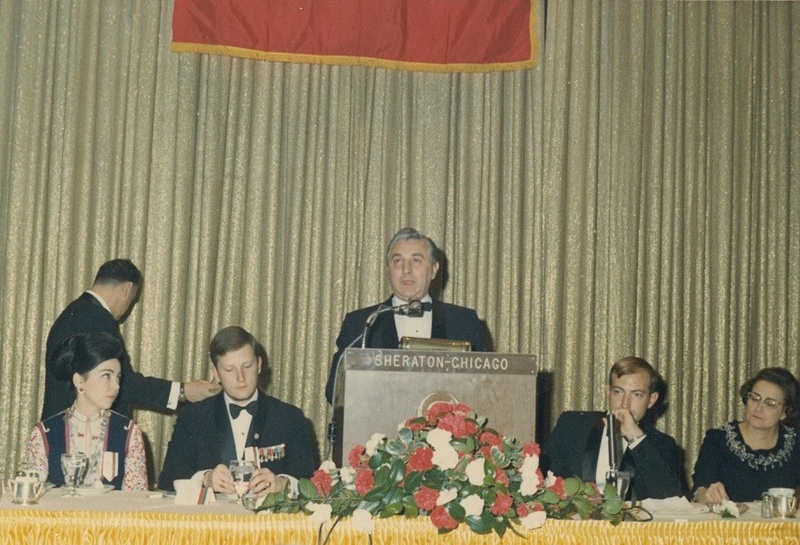 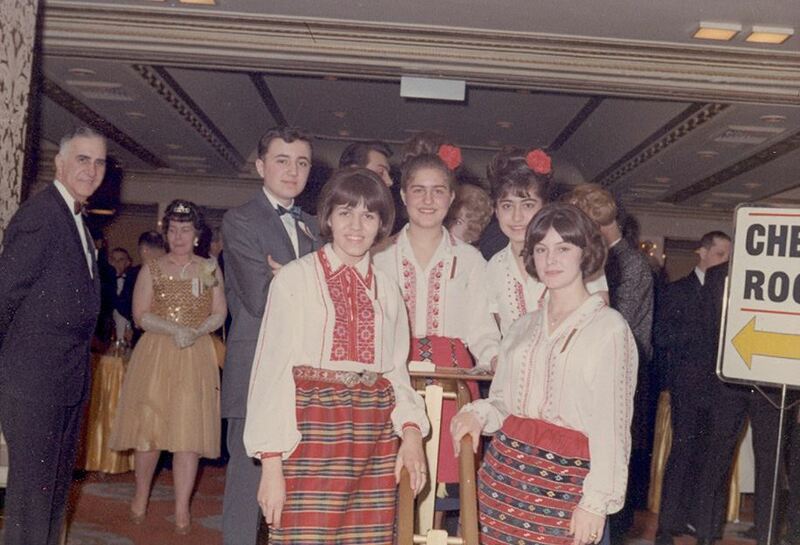 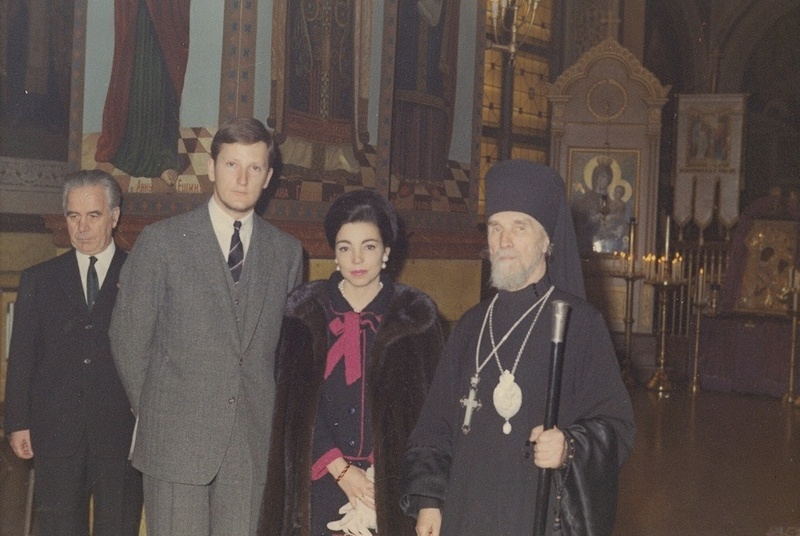 The group is standing in front of the stall of the Bulgarian National Front (supporters of the monarchy in Bulgaria) at the Exhibition of Nationalities, held at Navy Pier in Chicago, November 1962. 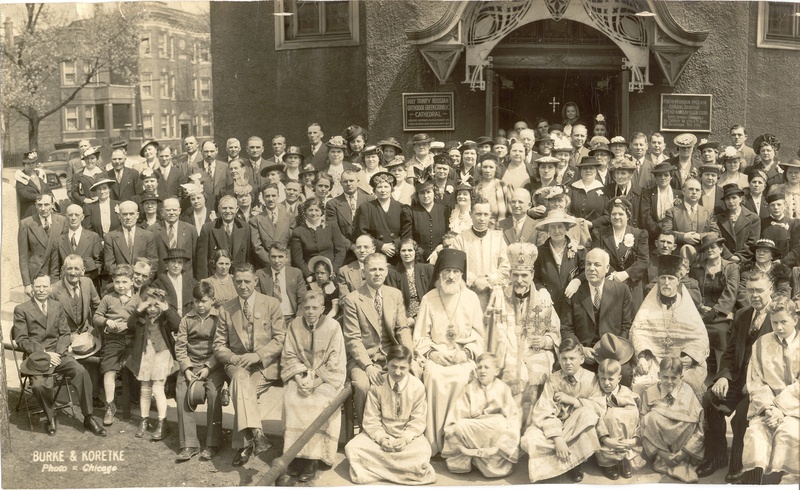 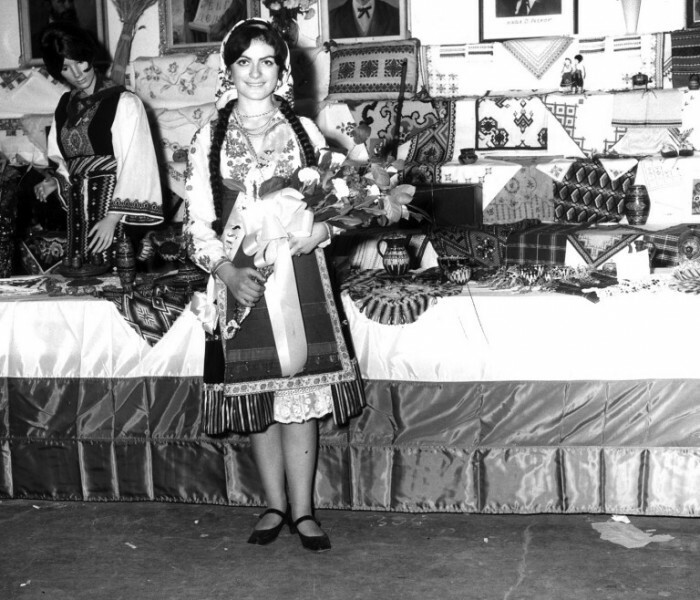 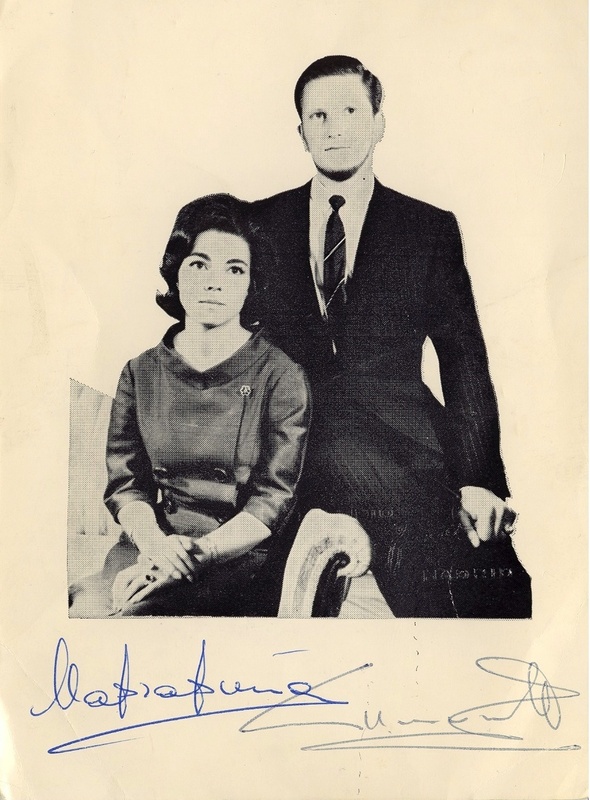 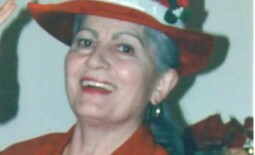 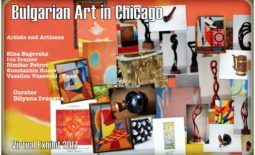 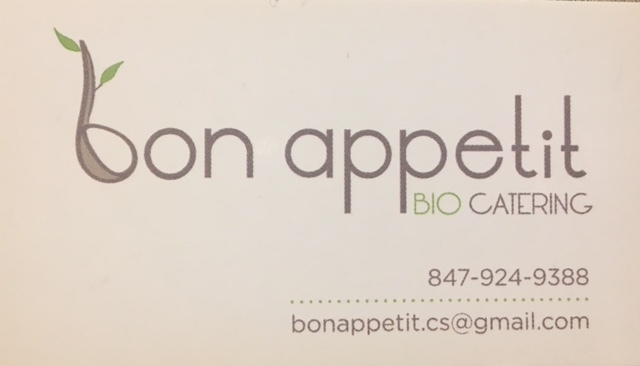 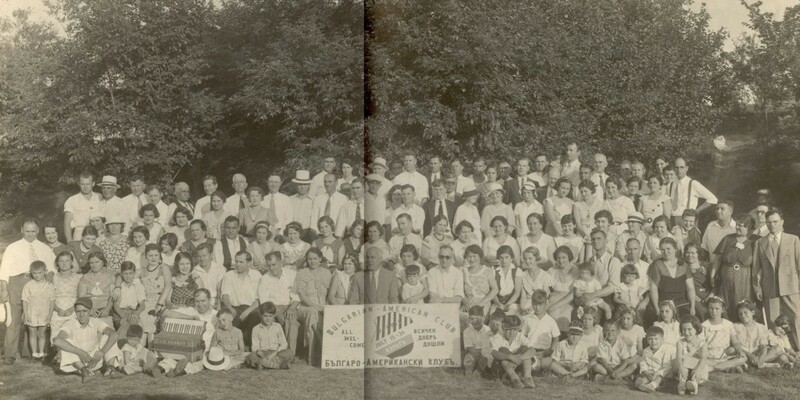 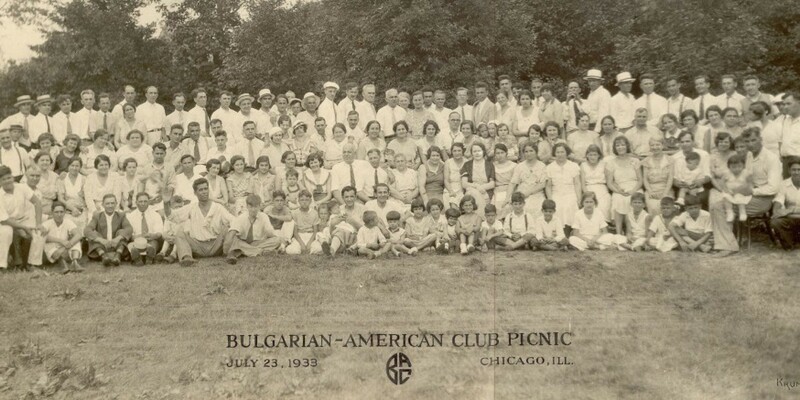 Image: personal archive of Boyanka Ivanova, director of the Bulgarian Language School in Chicago “John Atanasov”.